Lynda Moore – The Approved Contractor Scheme – One Size Fits All! Home » Featured News »	Lynda Moore – The Approved Contractor Scheme – One Size Fits All! 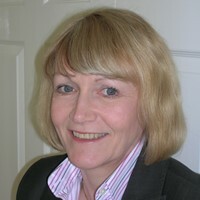 Lynda Moore, a Partner in the Consultancy, FM Contract Watch writes for Infologue.com about the Approved Contractor Scheme (ACS). She writes: “The Security Industry Authority Approved Contractor Scheme (SIA ACS) is in its tenth year, however; there is still confusion by end users of Security Guarding services as to its relevance and how the scoring system works. “During the course of our work, we regularly meet with end users of security services and often ask the question ‘Do you employ an ACS company and, if so, are you aware of their score?’ In many cases the organisations have heard of the ACS scheme and know that their contractor meets the basic requirements, but have no idea that a company that just meets the minimum standard with a score of zero can claim to be exactly the same as the company who has invested heavily to be close to the maximum score of 174. “The ACS standard covers 9 criteria: Strategy, Processes, Commercial Relationship Management, Financial Management, Resources, People, Leadership, Corporate Social Responsibility and Results. Each criteria has a number of indicators of good practice which the companies are required to achieve to become an SIA Approved Contractor. “The SIA states that the ACS scoring system was not designed to be a differentiation tool; however, there is nothing else currently available to gauge the quality of the service provided if this is not taken into account. How is an end user of security supposed to select one of the 800+ companies with ACS accreditation? To promote all companies as achieving the same standard when there is potentially a difference in their overall score of 174 points does not give a true picture of the quality of service and operating procedures carried out by the organisation. “Furthermore, the ACS is a voluntary scheme and there are estimated to be over 1,000 security guarding companies operating without any inspection, but totally legal provided their Directors, Management and Security Officers hold the relevant SIA licences. In the absence of any progress with the introduction of Business Licencing, if standards and regulation are to mean anything to the industry and end users of security services, the requirement should be for all companies to achieve the ACS accreditation as a minimum standard to operate. “In 2010, for the reasons stated above, we introduced The ACS Pacesetters to promote the quality security guarding companies who had achieved a score which put them in the top 15% of the Approved Contractors. We believed that the ACS score should be a fundamental part of the decision making when employing a contract security company and some 6 years on we are a recognised benchmark in the industry. Likewise, the Infologue Star Performers promotes the companies in the top 5%. We are both commercial organisations who have chosen to promote the companies that have excelled, however, the SIA prefers the ACS to be a standard accreditation throughout whatever score the individual company has achieved. It is, therefore, quite easy to understand why the end users of security services do not fully understand the implications of a good ACS score and what the companies go through to achieve this. “We, along with many of our member companies, believe that there should be more promotion by the SIA of the ACS scheme to the buyers of Security. They should understand the content of the self-assessment workbook and scoring system, which in turn enables them to make a more informed decision when appointing their security contractor. “The phrase ‘One size fits all’ -the definition being: Relating to policies or approaches that are standard and not tailored to individual needs – comes to mind when all of the ACS accredited companies receive exactly the same recognition by the SIA, however; this cannot be further from the truth when appointing a security guarding company!”. Lynda Moore – Who do you invite into your premises?